This spring Southwest Solaradobe School has initiated an effort to discover what DRAFTING software is available for financially challenged students and would-be owner-builders who can’t afford the big bucks leased software. SWSA maintains that people ought to be able to draft their own plans inexpensively, either by hand or machine and have them run off on the local repro shop plotter. Most folks are willing to take on a learning curve towards drawing skills IF the program is affordable. At SWSA, we know that folks are looking for ways to cut their building costs. If they can do their own plans, they can knock 5-10K off the tab- or more for larger homes. What the students tell us is that they often cannot afford an architect or a draftsperson to draft their plans. Since they themselves do not know how, they are stumped – and some jobs never begin or are delayed. 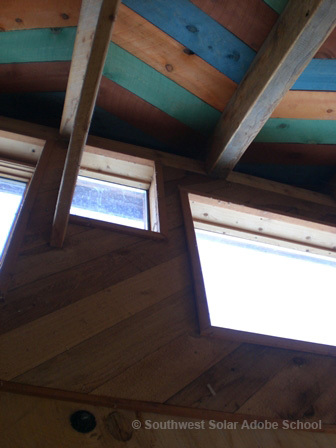 And often, the architect or draftsperson knows nothing about Adobe, just frame or concrete. Most see drafting services as a big hurdle to clear in getting their home constructed. They know that without plans, they can’t get permitted. Southwest Solaradobe is committed to busting this deadlock. Know of drafting software that’s cheap and doesn’t require a big cash outlay to use? We’re not including academic discounts, pirated software or older, unsupported software versions in this quest. It also has to be able to be scaleable and accepted by repro shops, which will usually ask for a PDF. So far, we’ve found AutoCAD and Sketchup as overly expensive for that owner-builder who is willing to take on the learning curve. Yep, it’s all in prep for a drafting class that SWSA is planning to hold over three days in Spring 2015. The title: Low-cost drafting and design for earthen structures to obtain a permit. It won’t be posted until December, but we’re happy to put you on the Most likely to stay interested list. 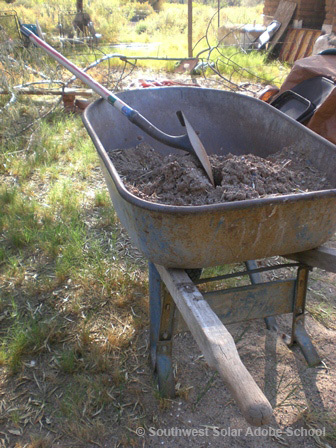 Our first class this spring is full, but the May 24/25 weekend for Adobe and Rammed Earth is still open. If you’d like to get your hands into the mud mix and test your readiness, check us out at www.adobebuilder.com. Spot the brown buttons on the left side of your screen. Pick the 4th one down and go to Class Descriptions. Discounts for couples. My blog takes you along for a ride on the Adobe building trail here in New Mexico- a place where climate, traditions and practical solar applications keep Earthen construction at the top of Green Building, Southwestern style. If you’re a fan of ADOBE BUILDER On-Line, or curious about what we’re up to with our design, drafting and classes at www.adobebuilder.com , welcome aboard! Right now, we just finished a presentation for our April 20/21 class in Albuquerque where emphasis is on how to plan the expansion of an Adobe (or compressed earth block) “Starter Core”. The assumption is made that the Starter is about 1000 sq. ft. and will expand by 600 sq. ft. in from two to five years. One begins with decisions about what kinds of spaces the “Starter Core” should contain. Typically, those would be spaces for sleeping, bathing, kitchen, living and utility/ storage. Popular space choices for the future expansion would include a second Bedroom, second Bath and perhaps a Laundry or special use room. Sometimes, the transition between the Starter Core and the expansion can be a Solarium or Covered Patio. This is handy when two separate buildings need to be joined with a minimum of alterations to their walls. When plans are drafted for the Starter Core, the Expansion Plan foundation should also be shown. That’s because one good way to keep costs down on the future expansion is to pour the expansion foundations at the same time as the Starter Core. Concrete is not going to get cheaper. You will also have to show a few detail drawings on where junction boxes for the expansion electrical circuits and pipe for plumbing needs will be stubbed out. Remember that the main breaker panel that you install on the Starter Core will have to be big enough to handle the extra circuits that will be activated when the expansion is added. The Building/Inspection Dept. will want to see what you are intending to build down the road and how you will protect portions of the work that will tie into the future expansion. A scaled Elevation drawing that shows how the expansion will look when tied to the Starter Core will help at permitting time. Aesthetics have to be planned so that the site will look attractive during the years between the when Starter Core is built and the expansion is added. This means doing a few unusual things, such as bending steel rebar back against a building (and hiding it) or stair stepping an Adobe wall off the Starter Core, which will become part of the expansion structure later on. © J.M. Tibbets. Please do not copy, transmit or repost images or text without written permission. Thank you for respecting this request.